The United Nations, African Union, European Union, Inter-Governmental Authority on Development, Ethiopia, Italy, Sweden, the United Kingdom and the United States welcomed the conclusion of yesterday’s presidential vote and extend their sincerest congratulations to Somalia’s new Federal President Mohamed Abdullahi Farmajo on his victory. International partners also wish to express their appreciation to the outgoing Federal President Hassan Sheikh Mohamed and his government for their many achievements over the past four years and thank him for his gracious concession speech that facilitated a peaceful and orderly transfer of power. President Farmajo faces a formidable set of challenges in meeting the expectations of the Somali people. They will expect the new federal government to respond to the country’s worsening drought crisis and avert another famine. A top priority identified by President Farmajo is improving security for all Somalis; this will require continued partnership with the African Union and international donors. 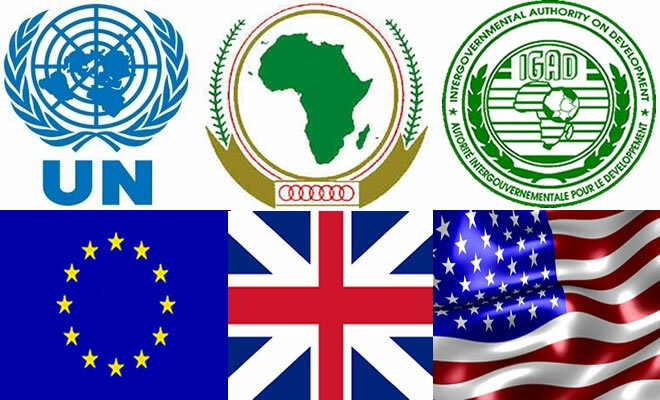 Other challenges include reconciliation and the peaceful resolution of a number of local conflicts and the resumption of the constitutional review process, not least to map out the pathway to one-person, one-vote elections in 2020. International partners urge all political forces in Somalia to work together in support of President Farmajo and the incoming government. Be the first to comment on "INTERNATIONAL PARTNERS CONGRATULATE MOHAMED ABDULLAHI FARMAJO ON HIS ELECTION AS FEDERAL PRESIDENT"